Traverse City Realtor Nancy Albrecht's mission since beginning her career in real estate has always been that her clients come first and foremost. Nancy is always striving to make sure her clients needs are met before considering her own. This Traverse City Realtor has always seen owning a home as the American dream. Nancy likes the idea of helping people realize their dreams of home ownership. 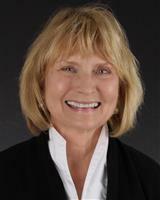 Since acquiring her brokers license almost twenty years ago, Nancy has participated in both buying and selling of properties in Traverse City and surrounding areas. During the past few years, Nancy has been recognized as a top selling agent throughout the Traverse City area, becoming a guiding force and example for many fellow agents. She has received many honors, including the Presidents Council Award and Presidents Award-Real Estate One for her stunning achievements to her business and community at large. Accompanied with a Bachelor of Business Administration degree from the University of Michigan, Nancy is able to work with buyers and sellers on a professional and insightful level. Nancy uses all of her skills to attain the very best for her clients both financially and emotionally. Nancy's extensive training in sales, local market conditions, competitive analysis, contract negotiation and several other fields, has been paramount for her to achieve the best possible sales for her clients throughout the years. It is not only Nancy's knowledge and skill in real estate that has helped her reach her professional height, but her compassion and understanding of her clients needs and desires. Nancy's success has been attributed to her seeing clients as people that are looking for help and understanding rather than just a commission check. Nancy takes the time to discover her clients wants and needs while also educating them with all the details associated with her business. Nancy believes that honesty and attention to the details and needs of her clients has been the key to her success as she continues to provide both home buyers and sellers with the best representation possible. Contact Nancy today with any questions you may have about the Traverse City area and its endless possibilities! One meeting with Nancy Albrecht and you will see why she is one of Traverse City's finest Realtors.